Mendelson's Memos: Review: Red Tails (2012) is a low-key, mostly entertaining history lesson/B-movie. 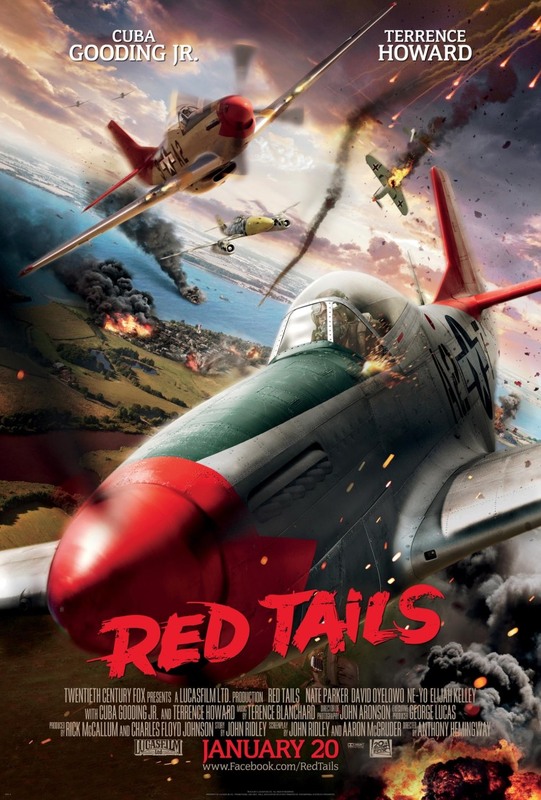 Review: Red Tails (2012) is a low-key, mostly entertaining history lesson/B-movie. The strongest aspect of director Anthony Hemingway and producer George Lucas's Red Tails is that it lives in a somewhat Utopian film industry where African-American dramas aren't all that big of a deal. The picture may have an unfair burden of proving the bankability of larger-budget ($58 million) genre fare revolving entirely around African Americans, but you don't see that sweat onscreen. It treats itself not like a test case, or a passion project for one of the more financially successful independent filmmakers of our age, but merely a B-movie action drama that involves actors like Cuba Cooding Jr. Terrence Howard, and David Oyelowo. Red Tails may be (unfortunately) an anomaly, but those behind and in front of the camera treat this as if it were one of many minority-led historical dramas that open each month at the local multiplex. The plot, to wit, concerns six Air Force pilots in what was known as the Tuskegee program, along with two superior officers (played by Gooding Jr. and Howard). The drama on the ground is pretty boiler-plate stuff, although it's delivered with such a low-key, no-nonsense fashion that it works by not slathering on the melodrama for cheap emotional points. Terence Blanchard's score does not overemphasize every emotional cue and there is a bare minimum of what might otherwise be considered 'big important speeches'. You will be surprised at just how many seemingly major dramatic beats are allowed to play out with minimal score, and that includes the major action sequences. No one will win an Oscar here, and there are quite a few examples of 'on-the-nose' dialogue (most of it delivered by the comparatively hammy white actors), but the leading airmen have a natural and relaxed chemistry that allows us to look past the occasionally clunky dialogue and divergence into cliche. Only Oyelowo's half-baked romantic subplot represents a true problem, both because it isn't the slightest bit engaging and because it pads the otherwise relatively tight narrative right up to the two hour mark. Nate Parker's commanding officer has a needless subplot involving alcohol abuse, but it doesn't become a major part of his character. But as an action film, it is an unmitigated triumph. There are four major action sequences in this picture, and they are pretty much all rock-solid. Befitting the man who directed most of the Star Wars films, the aerial battles in Red Tails are pretty superb, with (say it with me now...) long fluid takes and a clear sense of time and place. The action sequences are cut not for maximum intensity, but clarity and compensation. Since each mission has a specific goal, the picture explicitly spells out just what the objective is beforehand, allow us to not only follow the individual fighter planes in the sky, but keep track of the broader mission at hand. Since director Hemingway's prior experience is mostly character-driven television shows (he's directed several episodes of Treme and the 2010 zombie outbreak of Community), one may presume that much of the film's action was spearheaded by Lucas. But if I'm selling Hemingway short in the technical department, then what it means is that he should start appearing on 'the list' when studios start searching for tent pole directors. I liked that the film didn't drown itself in inspiring 'feel-good' moments. I like that the one 'white air-pilots learn to respect their African-American colleagues' is basically played for laughs, and the primary racist antagonist (Bryan Cranston) gets no real comeuppance. I like that it's told exclusively from the point of view of those who actually partook in said missions. I like that the picture is told with a certain no-nonsense objectivity. It doesn't rub our noses in the idea that African American soldiers had just as much courage and bled the same blood as their Caucasian counterparts, because it trusts us to already know that should-be obvious fact. The film is a straight-shot drama about men of color proving themselves in battle when their abilities were in doubt by those in command. One could argue that its relatively simple characters and thin narrative makes it resemble a B-movie from 1952 and that would be pretty true. But considering the current Oscar front runner is a film that would probably be considered a B-movie in 1927, I'm not sure that's a fair charge. Red Tails is a truly old-fashioned drama, but it is told with a lack of pomp and overwrought melodrama that makes it easier to overlook its genuine flaws. In a just world, Red Tails would be a B-movie that happens to feature an African-American cast, one of many. 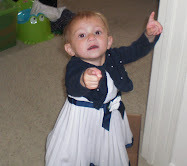 Instead, like The Help and Tyler Perry's pictures, it is burdened as the sole representation of what it happens to be. In this case, it is the rare mid-budget African-American action film. That so many critics can't let go of their Star Wars prequel bitterness doesn't help either, as Lucas makes the film all-too easy a target. But Red Tails is a true B-movie, warts and all, that barely works due to its unassuming presentation, relaxed and natural acting from its leads, and some cracker-jack action sequences. It is not a great film, but it does pass muster as a good movie. i kind of see it hard to judge a movie and the acting when it is a true story, taken from the people who lived it. It's not a made up movie. All the events actually took place, so how could it have relatively simple characters and thin narrative. unless your saying the men of the Tuskegee Project who fought for our country where all simple!